PreCentral is there live, bringing you coverage of all the happenings at HP webOS Developer Day NYC 2010. 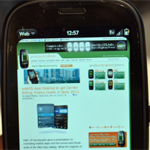 The second day's videos from webOS Developer Day, a dozen in all. Super-easy, super-clean, and super-fast app building in your browser? Yup, that's Enyo. We get our first look at the new Enyo application framework, with its faster performance and scalability. 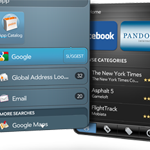 Palm previews Exhbition mode, showing off a Touchstone-triggered agenda calendar, Facebook, photos, and more. 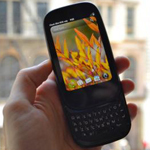 Dieter goes hands-on with the unlocked Palm Pre 2, takes some pictures, and gives his impressions of the actual production hardware (unlike the pre-production webOS 2.0 review unit). 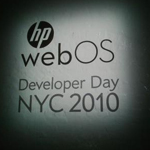 Check out the first day’s worth of presentations from Developer Day NYC 2010. Rod Whitby of WebOS Internals hacks together an unlocked Pre 2 and a Sprint Pre to make a FrankenPre with the Pre 2’s guts and a Sprint radio. This isn’t a try it at home exercise, kids. The App Catalog is getting more than just a facelift: Palm will be implementing the option for carrier billion for app purchases, money promos (e.g. App Catalog gift cards), and developers can even create links for sales/giveaways of their apps. 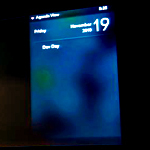 Palm has next-gen devices, next-gen app frameworks in store for "early 2011"
Palm Developer Day Keynote Liveblog! 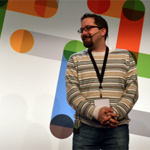 Dieter and Adam blog it live from the Developer Day keynote, featuring Ben Galbraith. Dion Almaer, Phil McKinney, and Joe Hayashi. Coming in version 2.0 of the on-device homebrew installer: background feed syncs, instant on, reviews, ratings, and more. Developer Day: Professor Ezor presents "Copyright Law for Developers"
Jonathan takes the stage to give developers and developers-to-be a quick lesson about copyright law and application development. 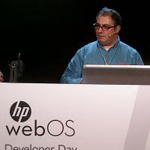 We're live at HP webOS developer day(s)! PreCentral’s hitting it live from New York City!